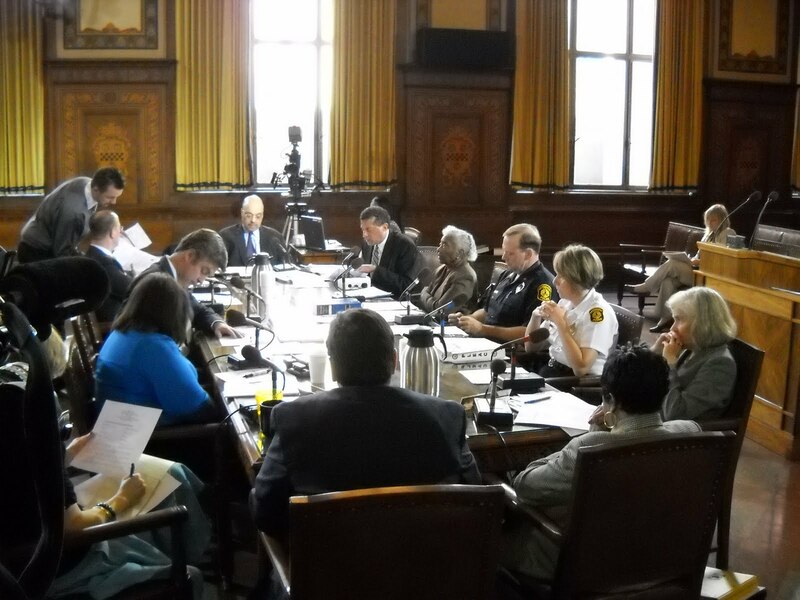 A packed City Coucil meeting on Tuesday, July 6th revealed a lot of emotions and opinions on a current issue facing our community: the ability of the Pittsburgh Citizen Police Review Board (CPRB) to regulate our police independently. If you are unfamiliar with the Citizen Police Review Board, it was created to provide an avenue to investigate citizen complaints about improper police conduct. The members are appointed by the City Council and Mayor, which has come into question by the public recently. Pushed into the spotlight with the recent case of a CAPA student beaten up by the Pittsburgh police, the urgency for a trusted avenue to review the police has never been greater. The fifteen or more citizens that spoke to the council had several issues with how they saw the board being run. One of the major complaints that can be changed immediately is the independence and selection process of the newest members. The testimonies and speeches given provided an effective mix of reasons and views surrounding the CPRB. Some view the government ties to the appointing of new members as an extreme interference in the ability for it to uphold the idea of its separation from the mayor and the council. Taking heed of what was said, the council spoke on the issue despite not being on the agenda for the meeting. Most agreed to slow down the process of nominations in order to be more thorough and allow for more independence. Another important issue that will be explored more thoroughly through the CPRB is the idea that more needs to be done to allow justice to prevail, according to some speakers. They would like to see more protection for the community as well as a standardized amount of information allowed to the CPRB, rather than changing every time a report is started. At the end, one man spoke about trusting the police. He added, “not all police are bad, so don’t treat all of us like we’re bad”. This speaks specifically to issues many of those felt hit close to home: the racial profiling that has led to many investigations through the CPRB due to police brutality. An emotional mother spoke on the same topic, explaining that her son, an African American in Wilkensburg, would have been forty-four this week had he not been killed by police. Great opportunity for community input on the CPRB. When the current controversy subsides I hope we can utilize this site for enhancing CPRB ‘s work. Monday, 7/19 at 1:30 city council is holding a public hearing on two legislative proposals to deal with the deficient appointment process for the CPRB members. It is prelude to a scheduled council vote (7/27) on the mayor’s nominees to replace incumbent Board members (the ones who filed a contempt motion against the chief of police for G20 documents). Please attend the hearing if at all possible. The proposed legislation can be found at council’s Legistar website, bills 2010-711 and 2010-712.